If you're a regular visitor of this site, first of all, you rock! Secondly, you may have noticed that neat "Little Problems" button to the right of your screen. "Why is it there?" you may have asked yourself? That's because I'm the newest campus representative for Little Problems! 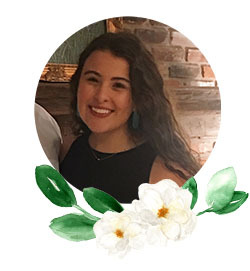 Little Problems started out as a twitter account (@LittleProblems) in May of 2012, but has grown into an actual company, selling things like koozies with adorable sayings like "Like Big Like Little" or "Big Knows Best" and giving back to philanthropies. My main reason for sending in an application was to get experience working with social media. Since I started this blog, I've become more and more interested in that field of business and this little "internship" is giving me a chance to dapple in it. It's been fun getting to know the company, and I can't wait to get to know the other representatives and team members! And now, because the brand is centered around the relationships between big and little sisters, I'm sharing some pictures of me and my own fabulous big! Of course, I had my grand-big (aka Katie's own big) Raleigh there to comfort me in her absence. Katie's and Raleigh's fall schedules were pretty busy, but Raleigh's new little Lauren quickly became one of my best friends. When spring semester rolled around, Katie went off to Disney World for the college program. When I went to visit her for spring break, I finally realized that her friends were all right; we really are the same person. Who else is excited for school to start again so that they can see their bigs/littles on a daily basis? P.S. Don't even get me started on how excited I am to get my own little and spoil her with Little Problems goodies!